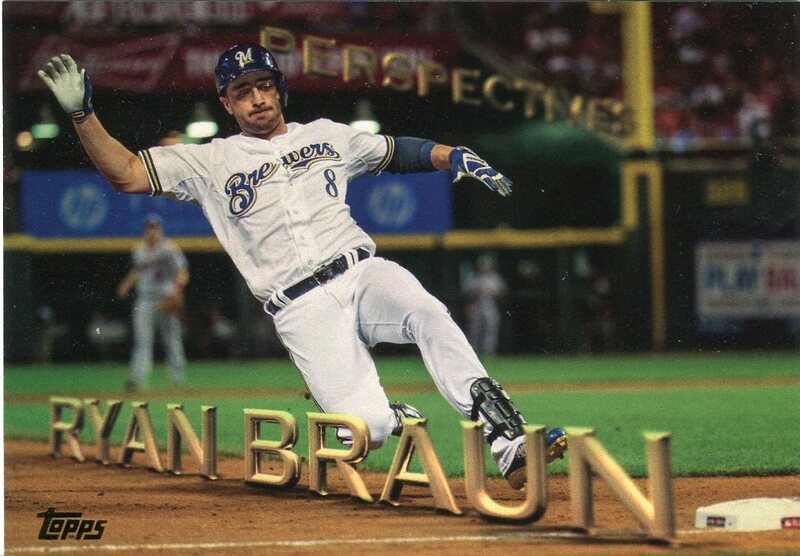 Talking to a fellow collector Andy this morning reminded me I need to post my review of the 2016 Topps Series 1 Baseball release. 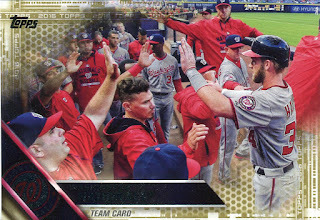 I saw some of the previews from Topps a while ago and then watched a few breaks on YouTube in advance of the box break with the UK Cards Facebook group (see my previous post on that one). I ended up with the Washington Nationals (along with my 'bonus' teams of the Brewers and the Rockies) in the break so my interest was slightly diminished but was hopeful of some nice cards I could use for trade. I liked the look of the 2015 cards but the 2016 cards I'm just not a fan of. A pretty standard back but the front has had someone from marketing do a makeover on it and I'm not impressed. I'm not sure if it's the fogging in the corners or the half hidden logo. I think it's the logo that I dislike the most. Why cover it up like that? I just don't get it. 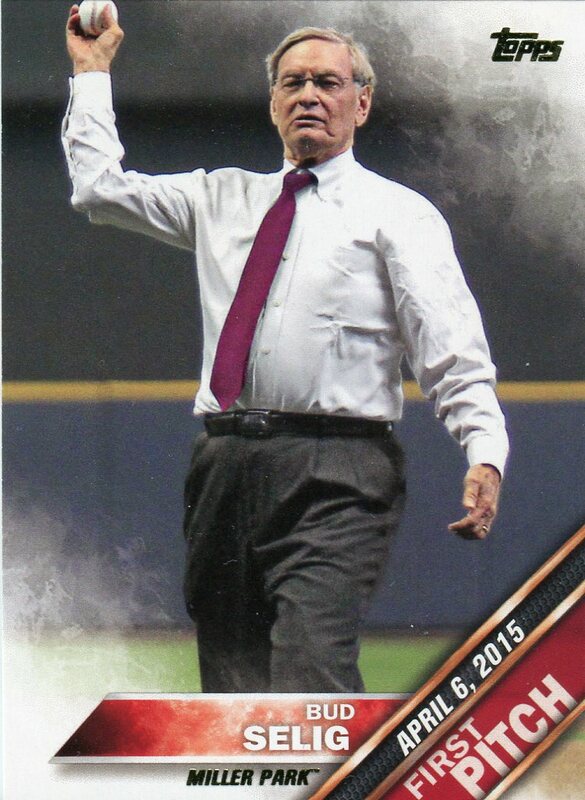 The First Pitch inserts return for 2016. They're ok but living in England a lot of the time I don't know who the celebrities are. I got ex-commissioner Bud Selig so I knew who that was. 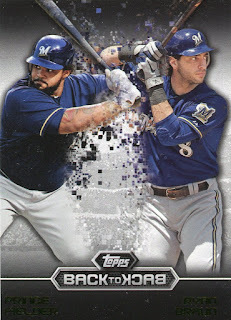 Topps have continued with the fogging on these cards are well. I got a couple of Gold parallel cards this year. The gold replacing the fog in the corners but the hidden logo is still present. 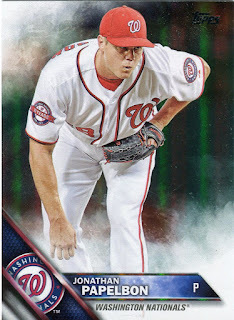 A rainbow foil of Jonathan Papelbon. The fog and hidden logo still present. Another marketing influenced card. It seems these have been well received on the breaks I've seen but the blurring of the two players together with the bits breaking away is unnecessary. Why not just have them overlayed? Again the designers clearly thought it looked good. The Perspectives cads next and thankfully no hidden logos or fog but it's the text this time. I don't like the 'perspective' view. In my example the text is partially hidden on the P. On a break I watched the guy couldn't read the players name so didn't even know who the card was of until he looked at the back. 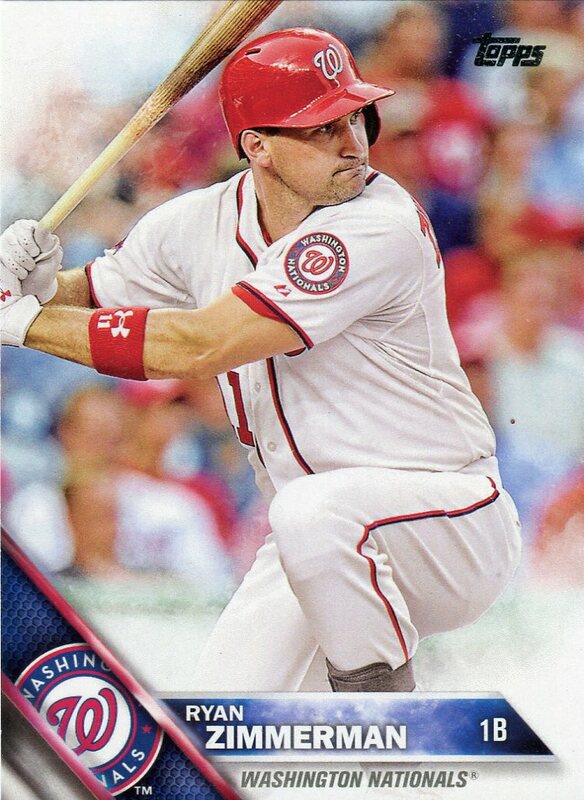 Finally a card in the set I like. I guess the fact it has a more classic look probably shows the style of cards I like. Sy Berger is considered the 'father of modern day baseball cards'. 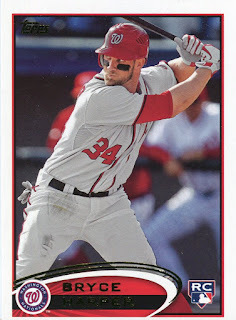 A nice card with a white border around the edge and guess what? Oh and the logo isn't hidden. 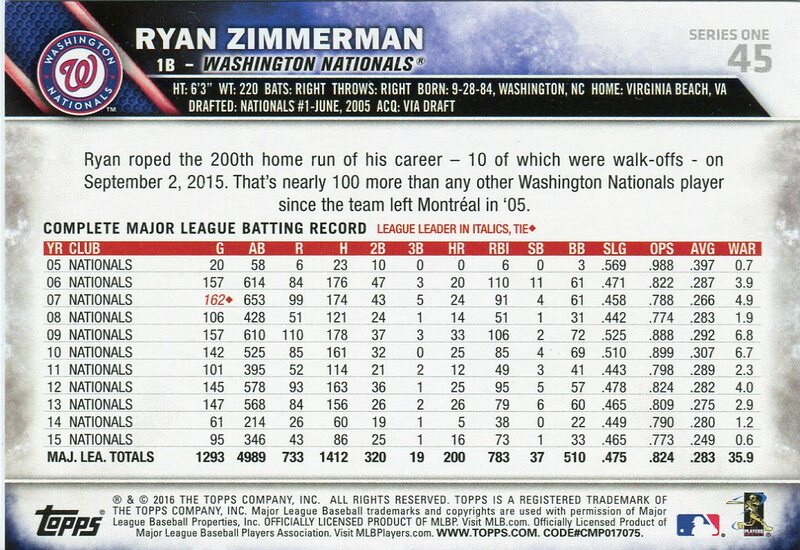 From the breaks in UK Cards and other breaks I've seen inserts include the '100 Years At Wrigley' set (nice if you're a Cubs fan), the 'Pressed Into Service' inserts look ok and I quite like the 'Team Logo Pin' inserts. So I think I'll be giving the 2016 set a miss. There's too much I don't like so will save my money for another 2016 set. At the moment it looks like the Stadium Club may be my set for the year. In the meantime I'll focus on completing my other collections. Oh and don't get me started on the Wacky Packages inserts!!! !